Take a break from the holiday hustle with a short hike to a Puget Sound beach, then cozy up at a nautically themed pub in Edmonds. 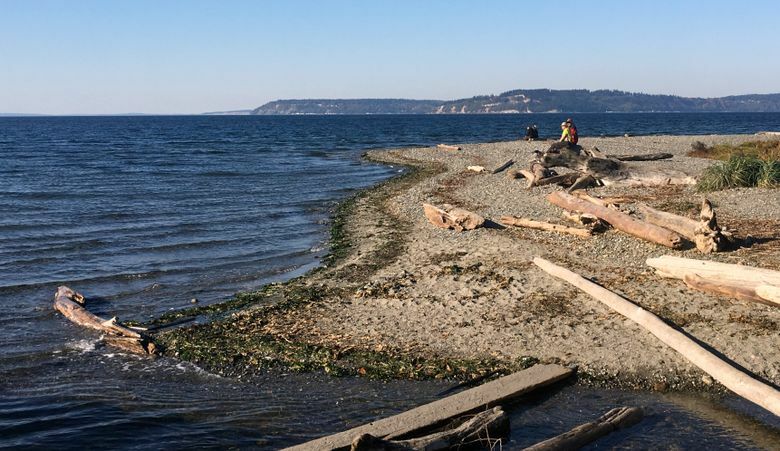 Take a break from the holiday hustle and bustle with a short hike in Snohomish County’s Meadowdale Beach County Park, then cozy up with a chocolate porter in nearby Edmonds. Winter is just about here, the days are short, and it’s easy to let hiking take a back burner to holiday-related priorities. But spending the entire month indoors means missing out on an opportunity to take a deep breath and let nature hit the reset button. At just over two miles round-trip and about 30 minutes driving from downtown Seattle, this short jaunt through a peaceful second-growth forest can be squeezed in between shopping trips and get-togethers. And if a relaxing walk to the beach doesn’t ease the preholiday stress, you can proceed directly to part II: beer. THE FACILITIES: There’s parking for about 30 vehicles at the trailhead. The lot was almost full when I arrived on a sunny Monday afternoon; plan to get there early on weekends. No bathroom facilities at the trailhead. 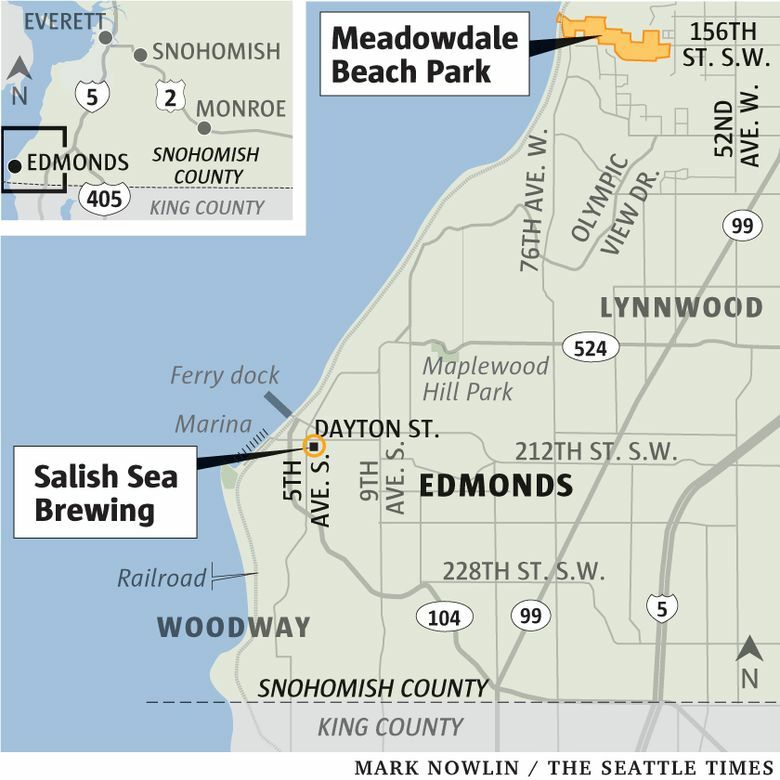 THE ROUTE: The wide gravel trail begins near a message board that details the history of Meadowdale Beach Park, which began as a homesteading site in the late 1800s and then became a country club with an Olympic-size swimming pool and bath houses. Snohomish County acquired the land in 1968. Follow the path on a slight decline as it winds through towering, mossy evergreens and large maples. Despite the park’s proximity to our rapidly growing metropolis, all was quiet when I stepped into the forest, save for the gurgling of Lunds Gulch Creek. The trail stays close to the creek all the way down to the beach, and there are several benches on which to pause and reflect near the water. 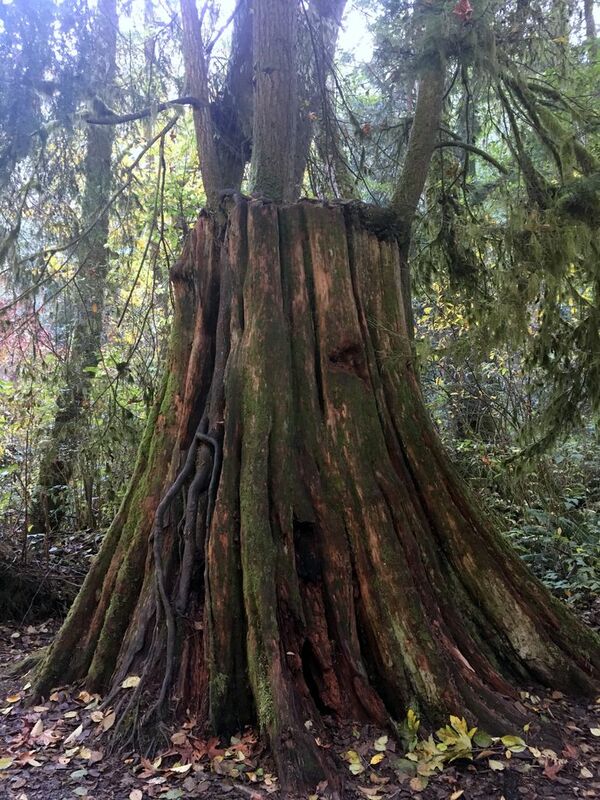 Keep an eye open for the massive stumps of old-growth trees that were logged decades ago and are slowly being reclaimed by the forest. 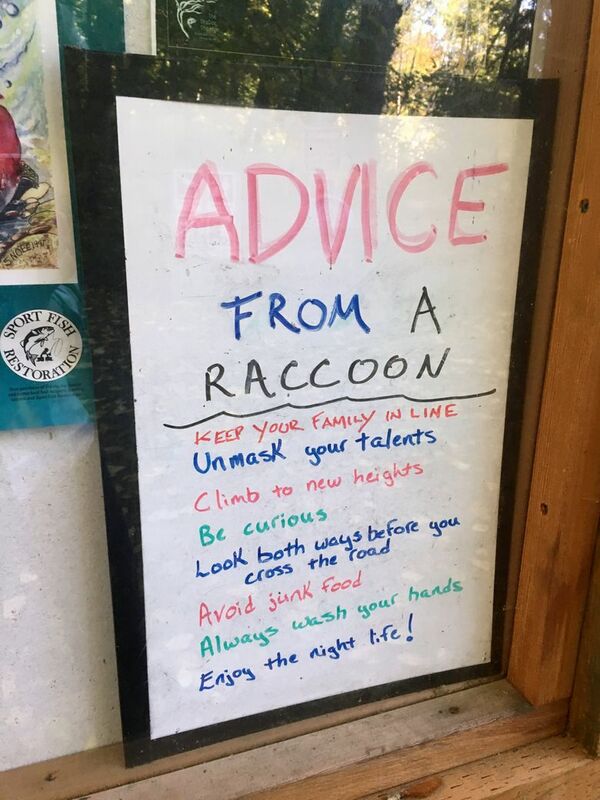 After about a mile, you’ll arrive at a ranger residence and informational sign, along with a couple of picnic shelters and a few porta-potties. Cross under the train tracks through a tunnel that goes directly above the creek (use caution after or during heavy rains) to cap off your forest walk with a short stroll along a small but picturesque beach with sweeping views of Puget Sound and the snowcapped Olympic Mountains. Retrace your steps up through the gulch to return to your vehicle. Save some energy for the last half mile of uphill — it’s enough to get the blood flowing but manageable for hikers of all ages and abilities. RESTRICTIONS: The park is open from 7:30 a.m. to dusk. Pets are allowed but must be on a leash. DIRECTIONS: From Highway 99, head west on 168th Street Southwest, then turn right on 52nd Avenue West. After ½ mile, turn left on 160th Street Southwest, then right on 56th Avenue West and left on 156th Street Southwest, following signs for Meadowdale Beach County Park (6026 156th St. S.W., Edmonds). The parking area is at the end of 156th. 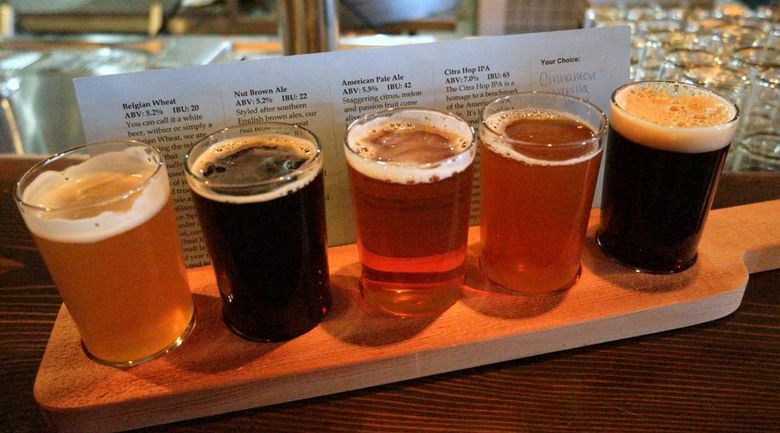 WHY: After your hike to the beach, keep the nautical vibes going by swinging through Edmonds’ charming downtown to grab a pint and snack at Salish Sea Brewing. There’s technically no happy hour here, but at $6, the 20-ounce pours are a decent bargain any time of day. Open since 2013, the lofty space has ample seating and a handful of flat-screen TVs if you’re trying to catch a game. 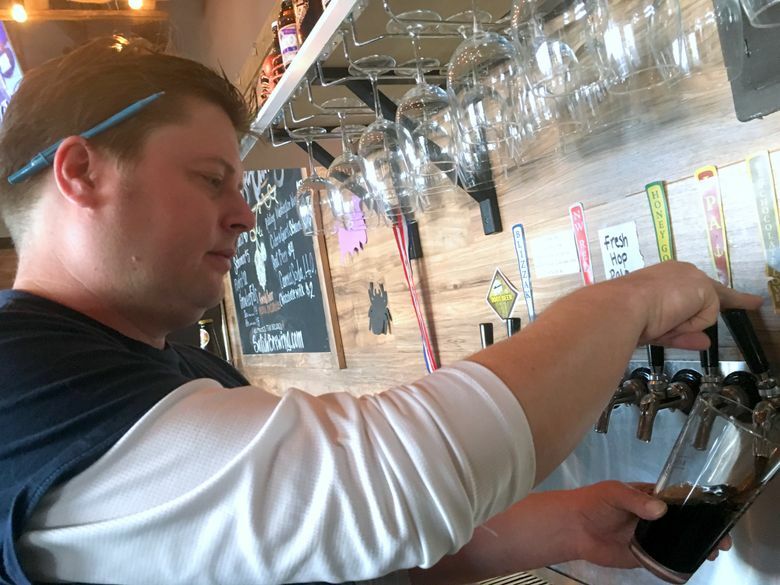 The beer list includes five brews — mostly ales — and a few seasonal offerings, including a winter ale with chocolate malt and cinnamon sticks. I ordered the Big Chocolate Love porter, purportedly brewed with double the chocolate malt of most other porters. It was full of flavor but not overwhelming — a tasty way to welcome the stormy seas of winter. There’s a full menu here, including sandwiches, pizza and several shareable appetizers. I went with the Salish Driftwood Breadsticks ($8), house dough that is deep fried and ends up with a funnel cakelike consistency. The portion is generous and arrives with both cheese sauce and marinara for dipping. WHEN: Open 3 to 9 p.m. Monday to Wednesday; 3 to 10 p.m. Thursday; 11:30 a.m. to 11 p.m. Friday and Saturday; and noon to 9 p.m. Sunday. Kids are welcome.